The second season of GLOW is great. It’s snappy, thoughtful, funny, and self-assured, full of well-developed characters and depth and a bracing fearlessness. It avoids the pitfalls that often plague Netflix shows: It does not lose its way midseason and then scramble to regain momentum for the final stretch, like every Marvel show; it does not put characterization on a treadmill, running through the same beats again and again while the story catches up, like Narcos or Orange Is the New Black; it doesn’t stretch three hours of story into five, like Bloodline, 13 Reasons Why, House of Cards, Ozark, or almost any Netflix show you can name. GLOW season two avoids all of those pitfalls because GLOW season two is not built like a ten-hour movie. The truism about writing a season of a streaming TV show — that it isn’t really TV, it’s a very long movie — is one of the more tiresome, unnecessary clichés currently in vogue. David Benioff and D.B. Weiss described Game of Thrones this way. Jonathan Nolan has said that each season of Westworld is like a movie. Alex Kurtzman said it about the first season of Star Trek: Discovery. Rami Malek said it about Mr. Robot. Noah Hawley said it about Legion (in a very highfalutin email to critics). David Lynch said it about Twin Peaks: The Return, and it was thoroughly dissected by Vulture’s Matt Zoller Seitz and many others. The problem is that too many shows built for the long haul are boring. They’re full of baggy, meandering stories that equate episodic stories with frivolity and season-length ones with quality. Even more frustrating, the ten-hour-movie phenomenon ignores the potential for an episode to be something other than a plot bucket. The implication is that a show with an episodic framework is something lesser than, weaker, or simpler. GLOW season two is a great reminder that using an episode as an individual unit rather than one act in a film — or a book chapter, or some otherwise meaningless divider — makes the whole season stronger. 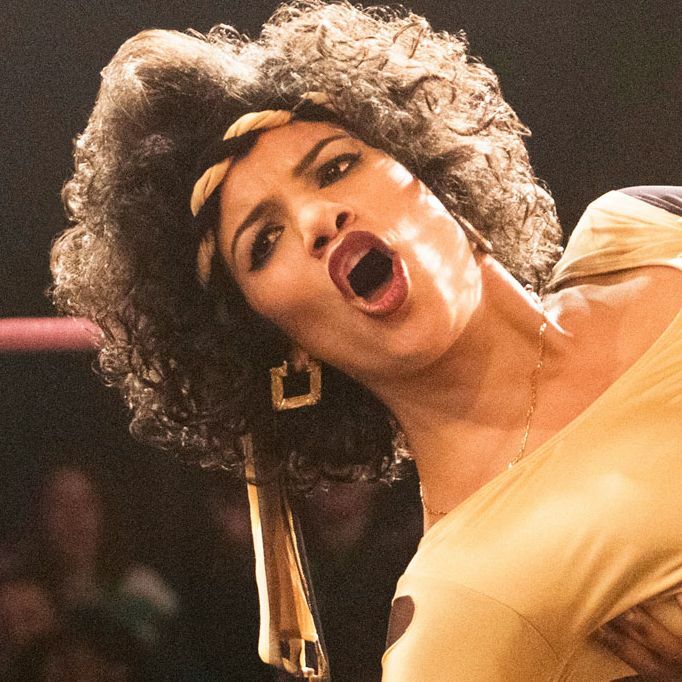 GLOW’s second season is not radically episodic. It’s a serialized story about a local women’s wrestling show struggling to stay on the airwaves, about the ongoing friendship and tension between Debbie (Betty Gilpin) and Ruth (Alison Brie), about Ruth’s desire for creative control of the show, and about all of the women negotiating their own visions of themselves and the stereotyped, often offensive characters they play in the ring. But GLOW divides that story up into smaller pieces that work as little stories unto themselves. They’re not Law & Order episodes, but they’re not Jessica Jones episodes either. They’re more like Mad Men episodes: individual installments where the episode is meaningful in and of itself, but also thoroughly tied to the larger story. The most obvious example is “The Good Twin,” a stand-alone story within a story that’s almost impossibly delightful. But most of the episodes have their own themes and their own small arcs, too. Episode three, “Concerned Women of America,” is framed by the production of a public-service announcement. Episode seven, “Nothing Shattered,” is set in one location and follows the fallout, implosion, and painstaking resolution of a single argument. Episode four, “Mother of All Matches,” is a meditation on motherhood, identity, and the ways women meet and defy and disappoint expectations. In episode five, “Perverts Are People, Too,” Ruth has to confront sexual harassment from a network boss. The plots are threaded through the whole season, and the themes develop slowly, but each episode has its own identity. Nearly every episode has a strong sense of purpose, shape, personality, and the goal it’s trying to accomplish. And rather than make the season feel narrower, or less ambitious, this fundamental episodic scaffolding makes the entire season feel like it’s aiming at more. If anything, the season’s weak spots happen when GLOW bites off more than it can chew, and the impulse to give an episode a conclusory curve means that sometimes stories get chopped up and underserved. (After Ruth skips a date at the end of one episode, apparently blowing up a nascent relationship, the story line doesn’t come back until much later. Near the end of the season, Bash’s discovery about his family’s butler has this incomplete feel as well.) But the result is that I’m left wishing the season were longer, had maybe been given one or two more episodes, had been allowed slightly more time to devote to its large cast. On balance, a story that leaves you wanting more is preferable to one that leaves you feeling like you ate too much. GLOW’s episode-sized stories are a vital part of what creates that desire for just a little bit more; they give me confidence that the added time would be shaped into something fully formed rather than just futzing around. The impulse to call all-at-once streaming seasons of TV something other than television makes sense — a new genre, perhaps, or their own increasingly distinct branch of TV. As more and more shows get made this way, it seems likely that they’ll accrete into something like their own particular kind of fiction. But it’s so encouraging to see a show like GLOW approach the streaming form in a way that doesn’t turn the whole season into structureless pulp. The strength of separate units, stories with their own power and weight, doesn’t have to get discarded just because the episodes don’t come out one at a time. GLOW isn’t alone in this, of course — a small handful of streaming shows have demonstrated the strength of this model, including Transparent, BoJack Horseman, One Day at a Time, and Dear White People. Even Netflix’s The Crown, a show that could stand to be trimmed quite a bit, succeeds in no small part because its episodes are generally treated as individual stories. But GLOW, which doesn’t have the benefit of a sitcom format or Dear White People’s character-based stories, feels especially notable for how well it nails the careful balance between season-long stories and satisfying, episode-length arcs. Give me a show with a great episodic backbone and the confidence to take on just a little too much. You can keep your ten-hour movies.